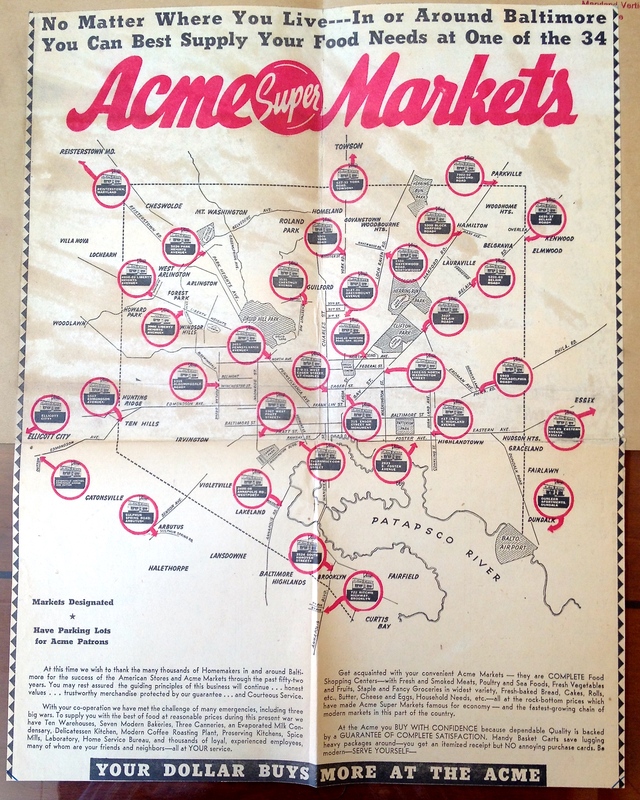 I am temporarily missing listings for several chains (Acme, A&P, Peoples, and Eddie’s) from a couple of the later years due to my own oversight. I will correct this as soon as I can. I spent the weekend in Baltimore. If you follow me on Twitter, you saw a pretty amazing collection of photos from around the city–not amazing because I’m such a great photographer but because there’s so much supermarket history still standing in Baltimore and so much of it is in such recognizable condition. 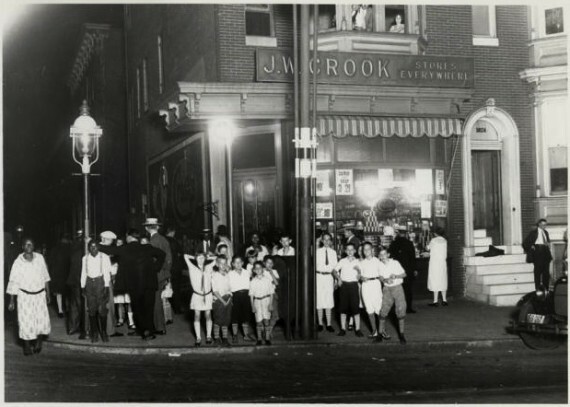 Acme, Food Fair, A&P, Penn Fruit, and more. It’s all there. I did library research as well and there will be much more soon. But do check out the past few days on Twitter…really.